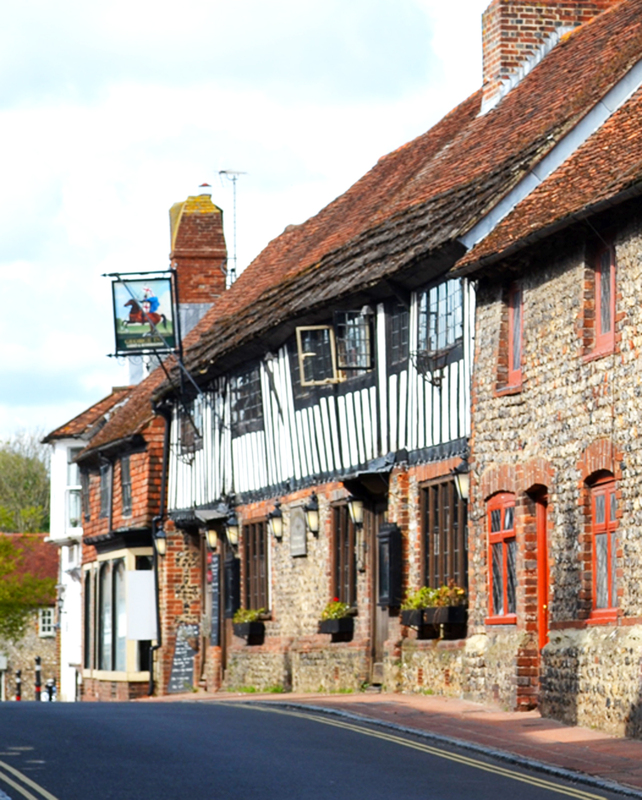 After we had finished exploring the Bluebell Walk at Arlington (see my previous post) we drove the short distance to the ancient village of Alfriston. 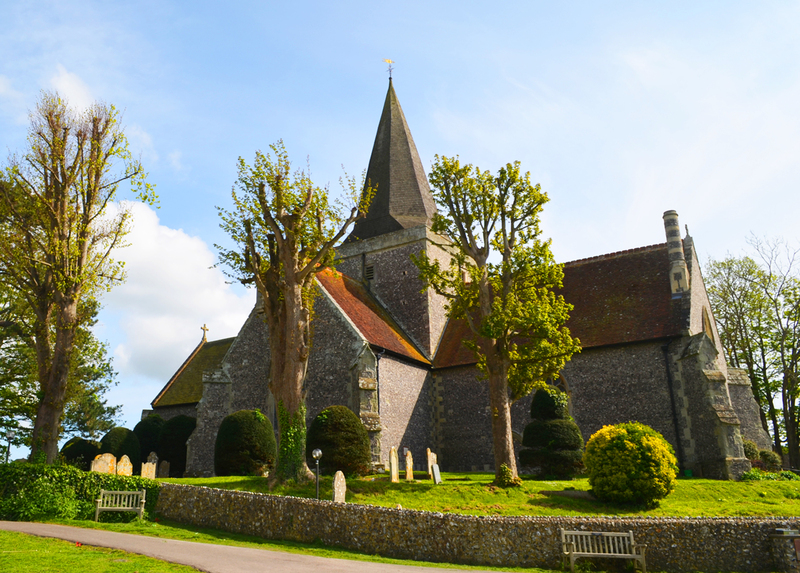 At least we were to discover that it was so ancient and indeed I cannot remember seeing any buildings other than churches that go back as far as many do in Alfriston. Clearly, because it is so old it does not cater tremendously well for disabled people, but we found a little café called the Singing Kettle, which had some chairs and tables squeezed onto the pavement outside. The young lady who runs the place was most helpful and we were able to enjoy a much needed tea, coffee and cake. 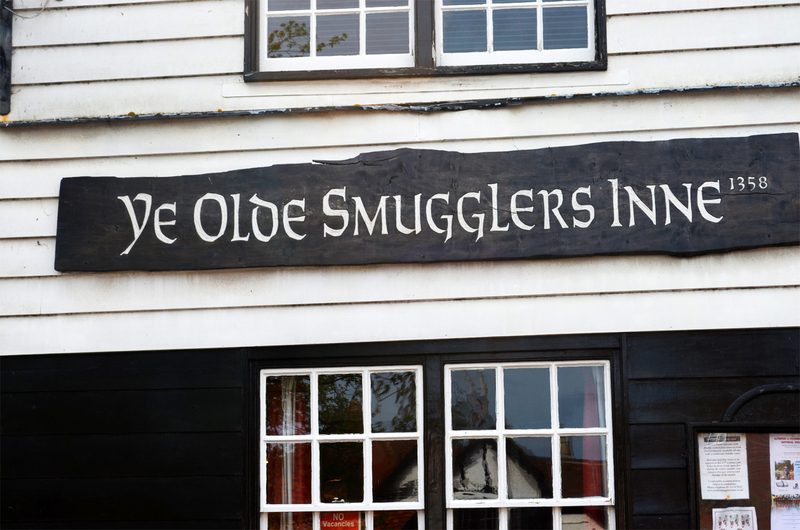 Whilst sitting there, I looked to our right, where Ye Olde Smugglers Inne sits. 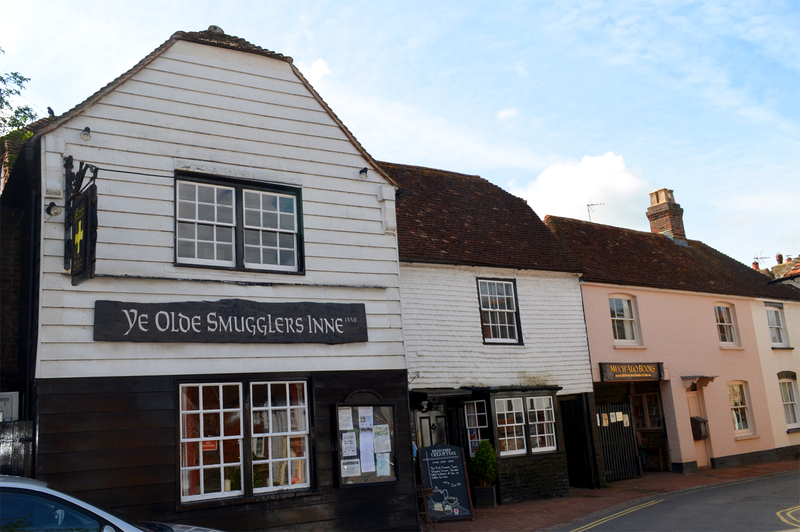 I looked at the sign with a fair degree of incomprehension as I tried to take in the fact that this Inn dates from 1358. 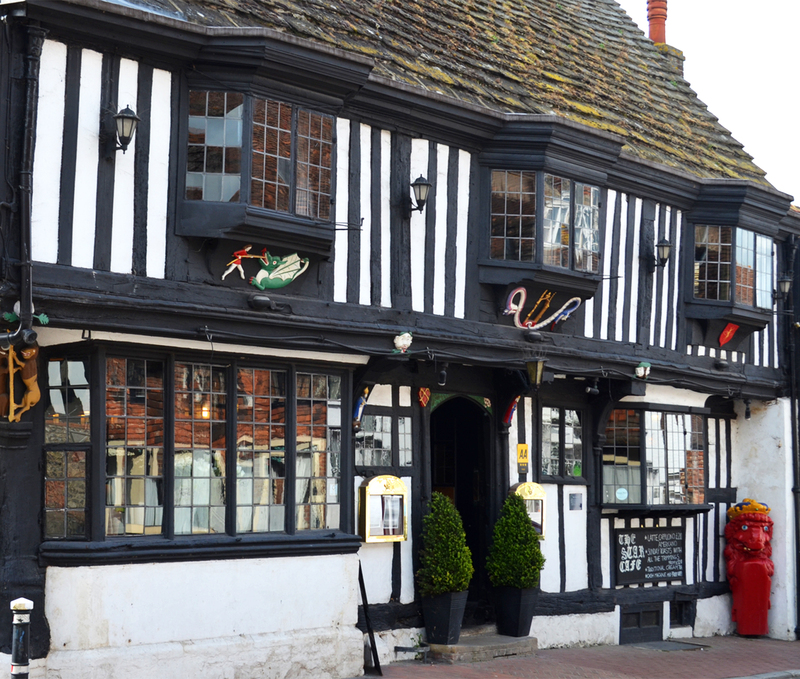 After we had finished at the Singing Kettle I walked down the main street, past the George Inn on the left and the Star Inn on the right. 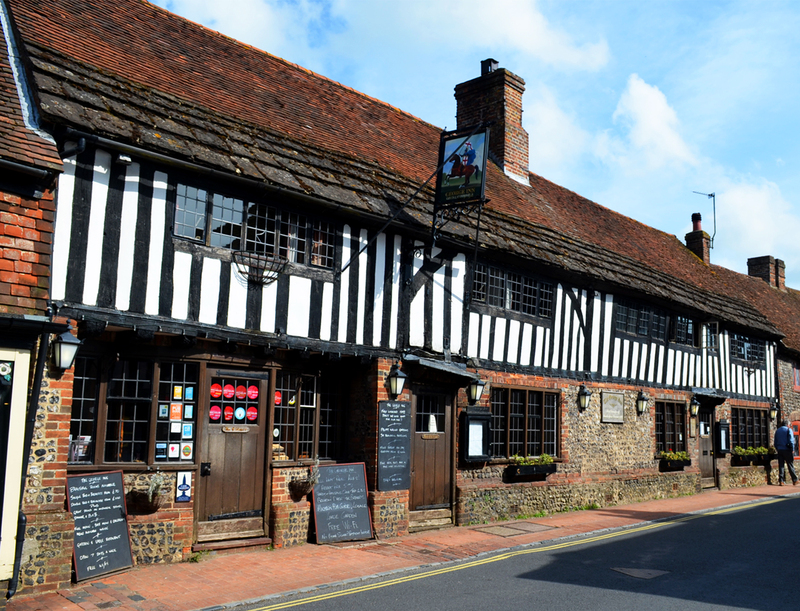 The George dates from 1397 and is a most attractive building, whilst the Star, or at least the building that is the Star, apparently dates from 1260. 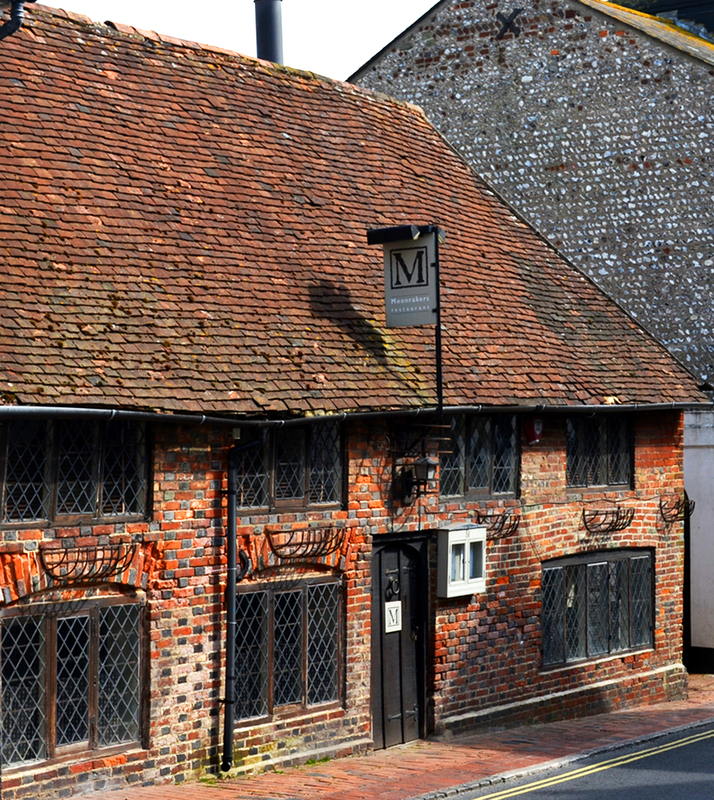 A little further down the street from the George is an equally ancient building, now the home of Moonraker’s Restaurant. Certainly simply from an ambience viewpoint it looks a great place to dine out. 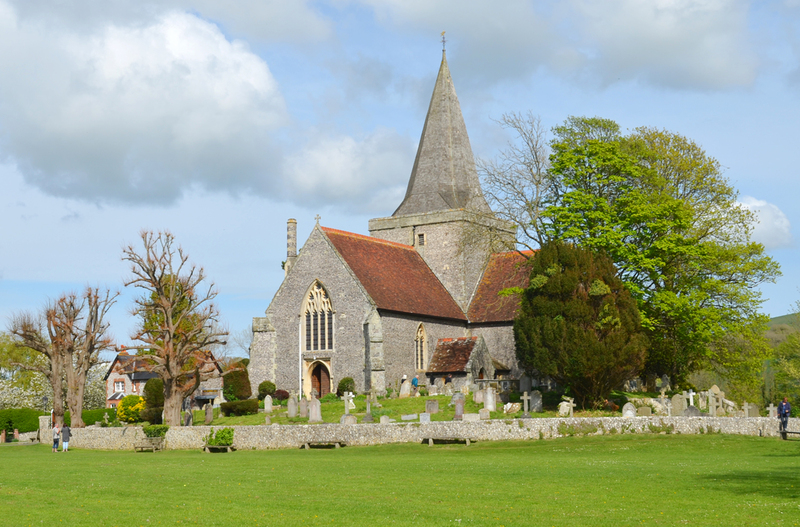 I wandered further down the main street and then turned off to the left and eventually found myself on a patch of green, called the Tye, across from which stood Alfriston’s parish church, St Andrew’s. 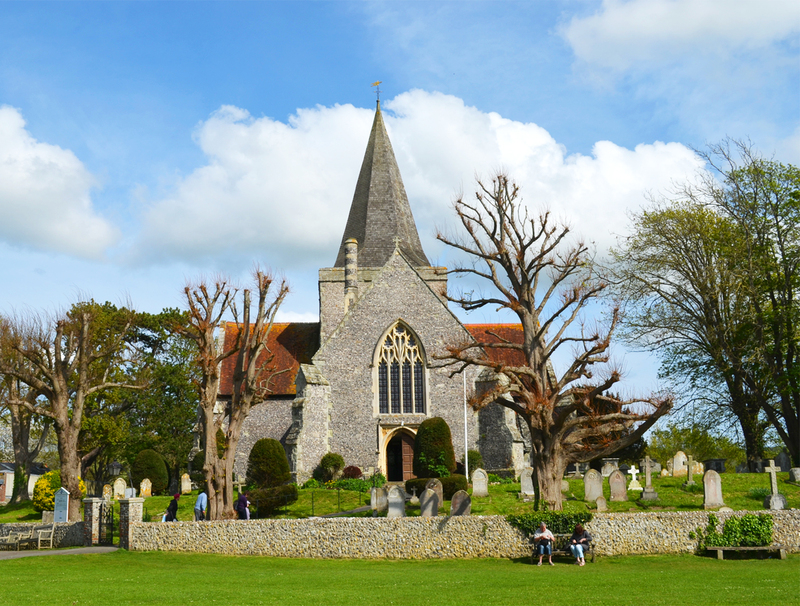 I would have like to have had the time to explore this church, which is known as the Cathedral of the Downs. From the outside it looked most attractive, dating from the 1370s. 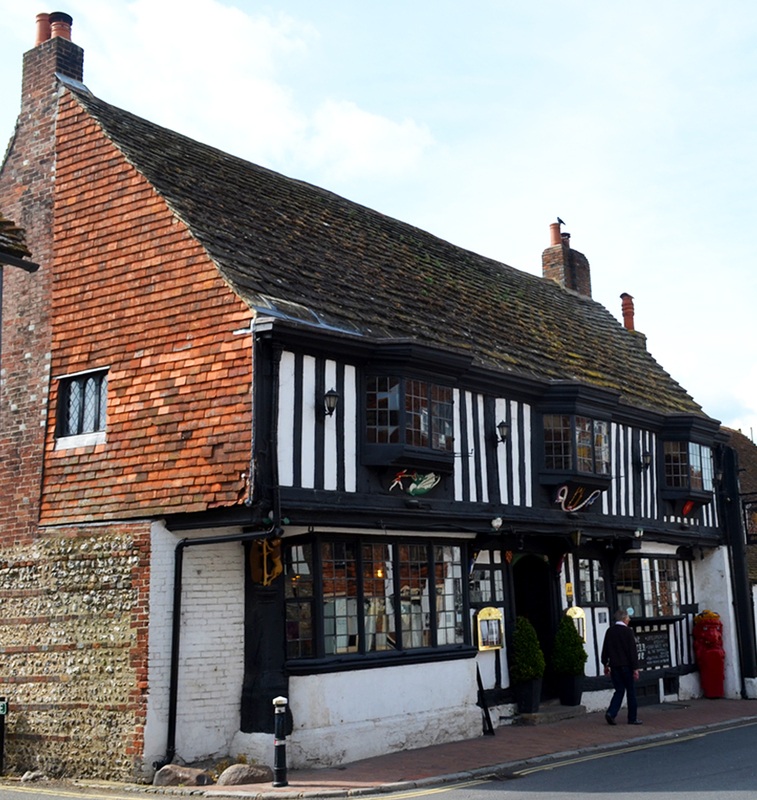 Alfriston is famous for Drusilla’s Park, which originally was just a small zoo, or if you prefer, a zoo for small animals! While that is undoubtedly a great attraction, for me the village itself is a huge attraction. 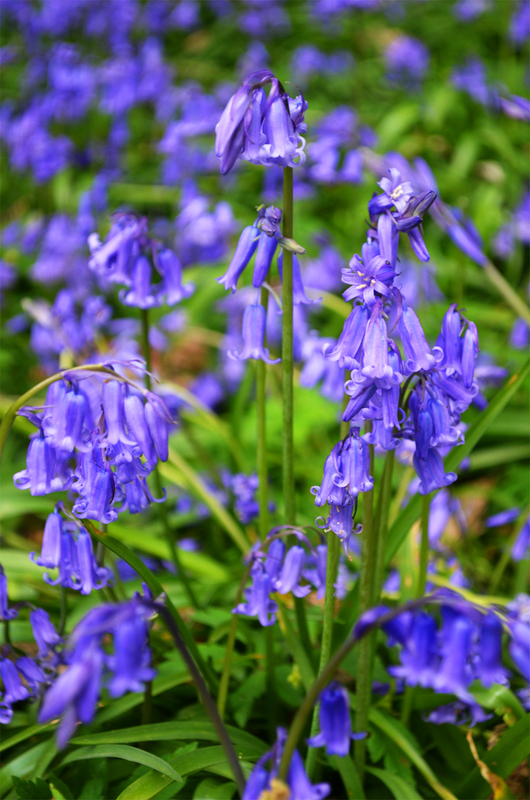 This Spring has seen such a profusion of that beautiful woodland flower, the bluebell. I certainly noticed how many there seemed to be this year, compared with previous years, whilst driving along the country lanes south of my home town of Horsham, West Sussex. They have been a sight that gladdens the heart, for not only are they beautiful but they also smell so nice. 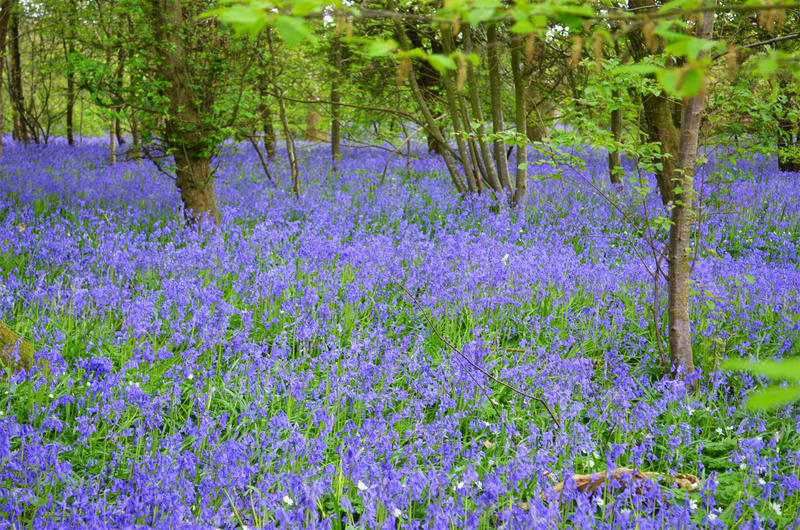 A cousin of mine had mentioned last year that she and a friend had visited the Bluebell Walk at Arlington, near Polegate. Since this is not far from Eastbourne, Maggie and I decided to spend a couple of days at the Eastbourne Centre, where we had been a couple of times previously, and which caters very well for disabled people. So it was that we drove down to Eastbourne on the Wednesday after Easter and the following day set off for Arlington, arriving about lunchtime. Disabled parking is more or less opposite the entrance, where there is a café serving light lunches and also a barn where there were a variety of farm animals – sheep, pigs and angora goats. After lunch we entered the Bluebell Walk, and oh wow!! Bluebells as far as one could see, millions of them or so it seemed. The paths are fine for wheelchairs and mobility scooters, although I can imagine there being problems in wet weather. We were lucky in that it was a fine day and the paths were dry. The walk covers quite a lot of ground and I could not see any paths that were not accessible. Saying that, there is a specific path for disabled people, but we ventured away from it quite safely. 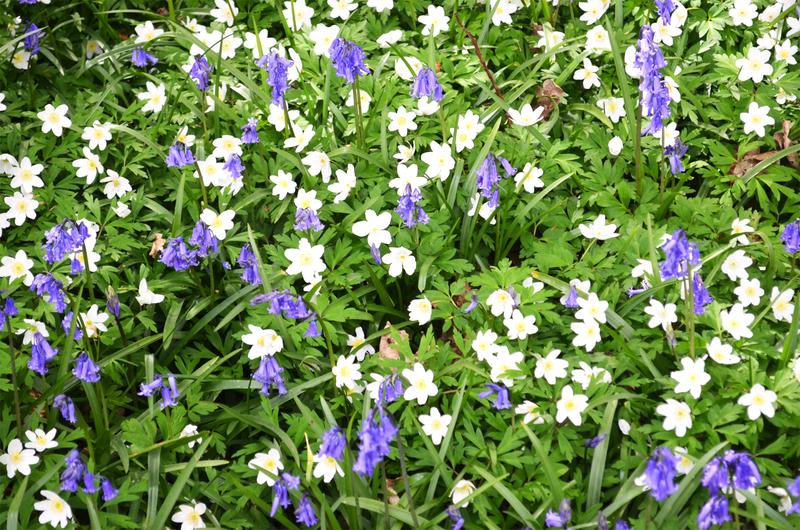 Amongst the bluebells there were thousands of wood anemones, their white colour contrasting very well with the bluebells. There are also a couple of ponds, one of which has a small island well-populated with flowers. Seeing so many of these wonderful flowers all in one place simply made the heart sing. It is truly a special place, one to which I would like to return one day.